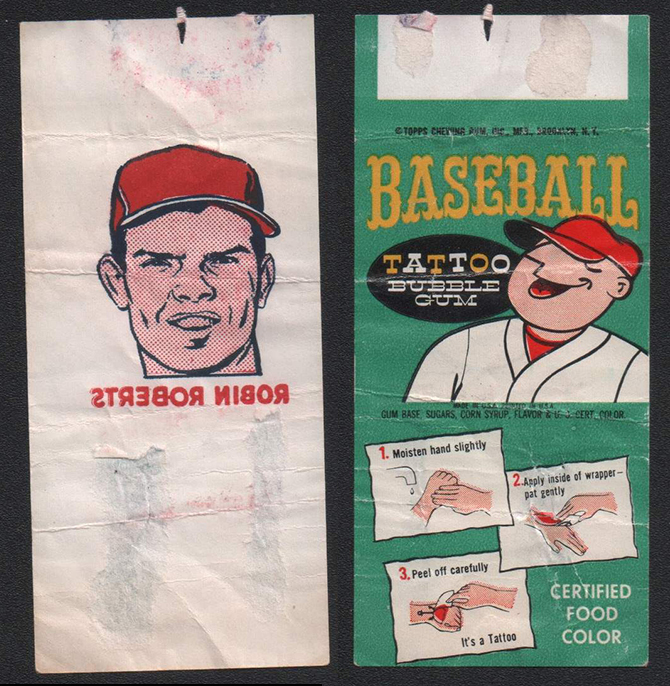 The Set consists of 96 Tatoos, 55 of which are Players, 16 Teams w/ Logos, 15 Action pictures and 10 Autograph Baseballs. 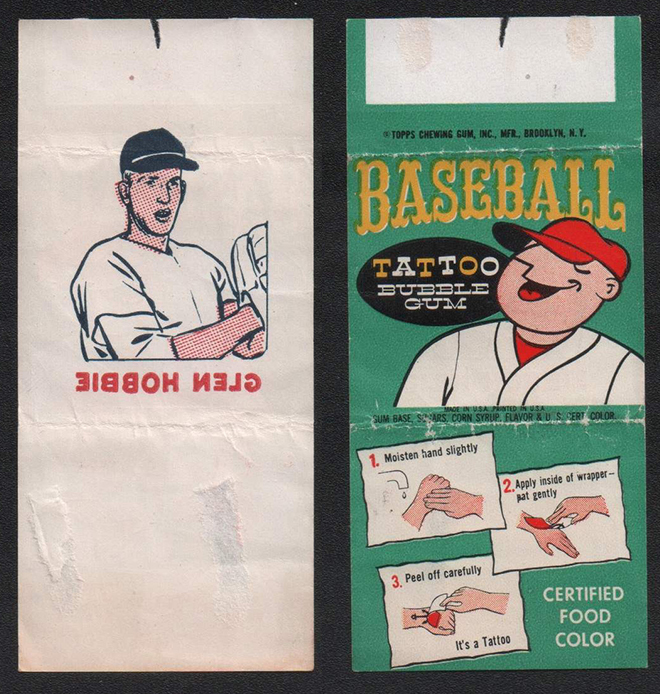 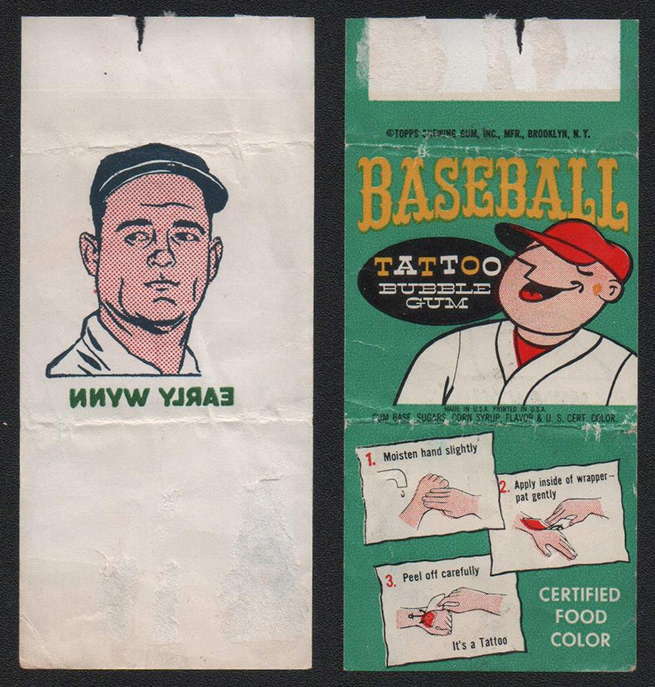 The Topps "Tattoo Bubble Gum" item measures 1-9/16" by 3-1/2" when unfolded at the seam. 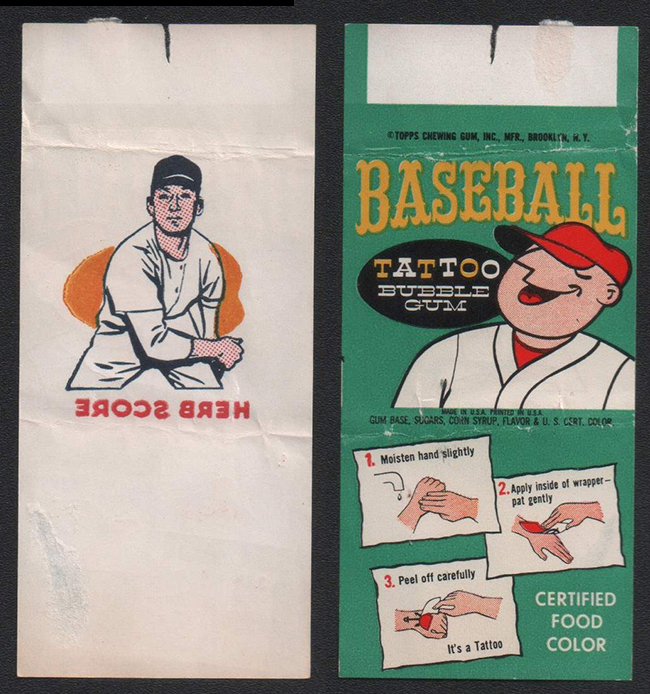 Most were just torn open but keeping the Tattoo intact. 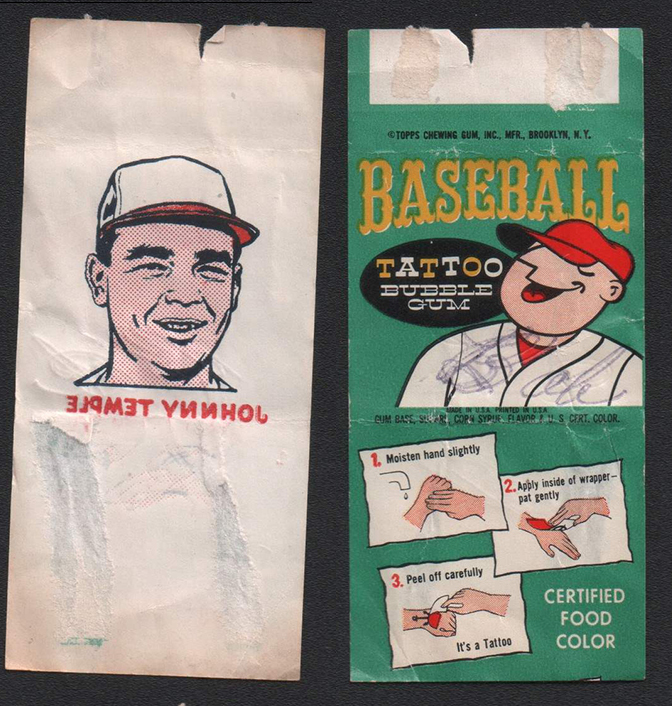 Because they were very popular with the kids at the time, they are rather scarce today.